One of the realities of dog ownership is that most dogs shed. You can do your best to regularly groom your dog to reduce shedding, but there is no way to completely stop dogs from shedding. You might have heard claims about the FURminator deShedding tool and wondered if it lives up to the hype. 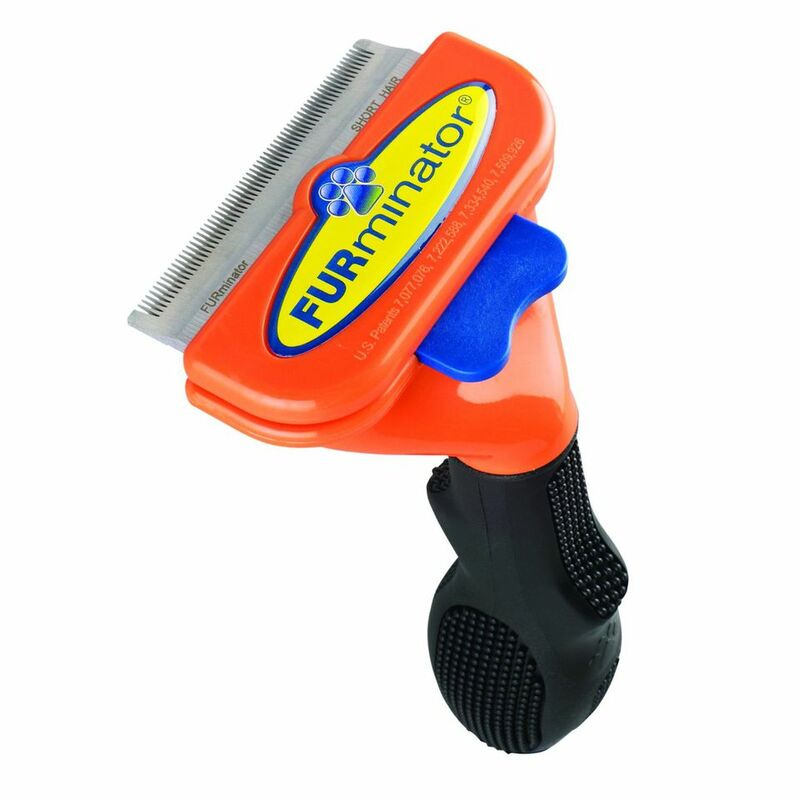 The FURminator is a dog grooming tool that can reduce shedding and remove excess hair from double-coated dogs. Like any product, the FURminator has pros and cons. Overall, the FURminator an effective product that can dramatically reduce shedding in most dogs. The decrease in shedding is often noticeable after just one or two uses. It's surprising how much dead hair can be removed in a short period of time. The amount of hair removed is typically even more than that seen with the use of many other shedding blades. Regular use of the FURminator means no longer getting a handful of hair when petting the dog. In addition, the amount of hair buildup on floors, furniture, and dog beds is noticeably reduced. Best of all, many dogs enjoy being groomed with the FURminator. The FURminator is most effective when used on a regular basis. During high shedding times, it is ideal to use the FURminator every few days remove the buildup of dead hairs. During the lowest shedding times, two to four times a month may be a good time frame for most dogs. Of course, it all depends on the rate of the dog's shedding. It is important to note that dogs can develop skin irritation with improper or prolonged use, especially dogs with allergies and/or sensitive skin. While grooming, be sure not to put too much pressure on the dog's skin with the FURminator. Gentle combing is all that is needed for this tool to be effective. It should also be noted that this tool is not recommended for dogs with single coats and/or continuously growing hair, such as Poodles, Shih Tzus, and breeds with similar coats. Be sure to choose the right size for your dog and the correct blade length for your dog's coat. Also, use this product carefully, especially if your dog has sensitive skin. Look at the dog's skin frequently to make sure you are not causing irritation. The FURminator deShedding tool was developed by professional groomer Angie Porter, and the expert craftsmanship is quite clear. This is an excellent grooming tool that is both effective and convenient. Dog lovers will enjoy using the FURminator deShedding tool and experiencing the satisfying results. This tool is worth the cost, especially if you can get a good deal on its purchase.